There was fierce competition for the People's Choice Award at our 30th Annual Push-Pin party last Thursday evening. Attendees were given sets of six star stickers with which to vote on their favorite photographs. Director Beth Lilly closed the voting at 8:30pm and began tabulating. 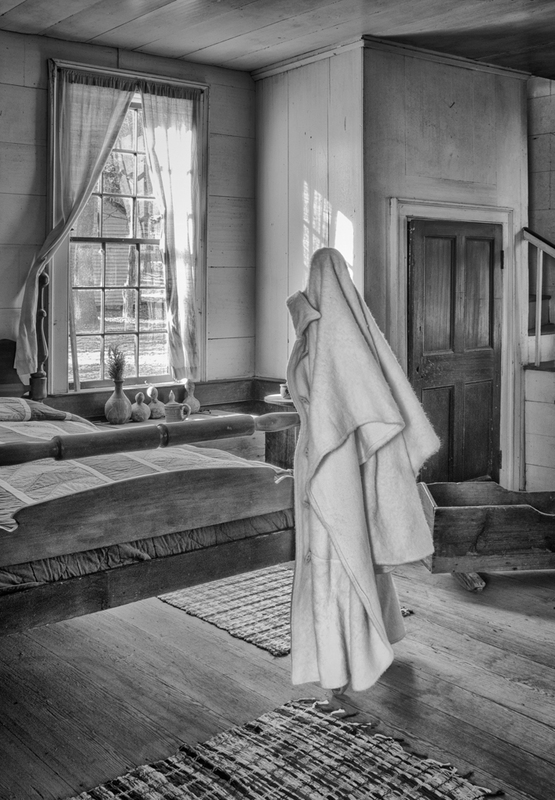 With 14 stars, Harriet Dye's black and white print titled "Haunted" came in third, Chet Burgess' panoramic landscape "Teton Morning" earned 15 stars for second, and the winner, with 16 stars, was Gabriela Arp's untitled portrait of two girls in church. All three artists will be awarded one year membership courtesy of APG, and, as the Award winner, Arp will have a piece featured in our next exhibition: Choice. Congratulations to all our Push-Pin artists. If you missed the party, Push-Pin is up through March 4, 2017. APG is free and open to the public. Handicap parking and entrance to the lower level of the Tula Art Center at rear of building.